Coach of Nigeria U-20 Paul Aigbagun, have decided to deploy the recruitment strategy of Gernot Rohr as he sources for players to make up his flying eagles team. 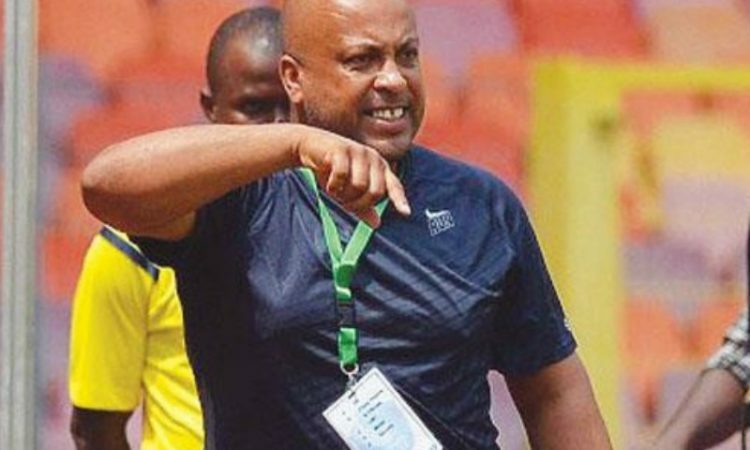 Rohr’s success in sourcing out the likes of Tyronne Ebuehi, Bryan Idowu and Ola Aina to consolidate to earlier foreign based players such as Carl Ikeme, Leon Balogun and William Troost-Ekong have prompted followership from Paul Aigbagun who seems to complete his U-20 team. Aigbagun made this known to the media when he visited England last month. The former Enyimba football club manager in an interview confirmed that he intends attracting Nigerian players in diaspora to his team as most of them fall within the age limits. He also confirmed that the management is in talks with players as some have shown interest to play for the country. Aigbagun also confirmed that most of the players will feature in his team when they begin their qualifiers for the U-20 African nation’s cup beginning with game against Mauritania. The head coach believes that the players in diaspora possesses what it takes to uplift his team and tactical approach. Aigbagun despite believing in the quality of the players however still confirmed that there is no automatic spot for the players as they will have to earn it.